Deepika Padukone was spotted outside a salon in Bandra on Wednesday evening. 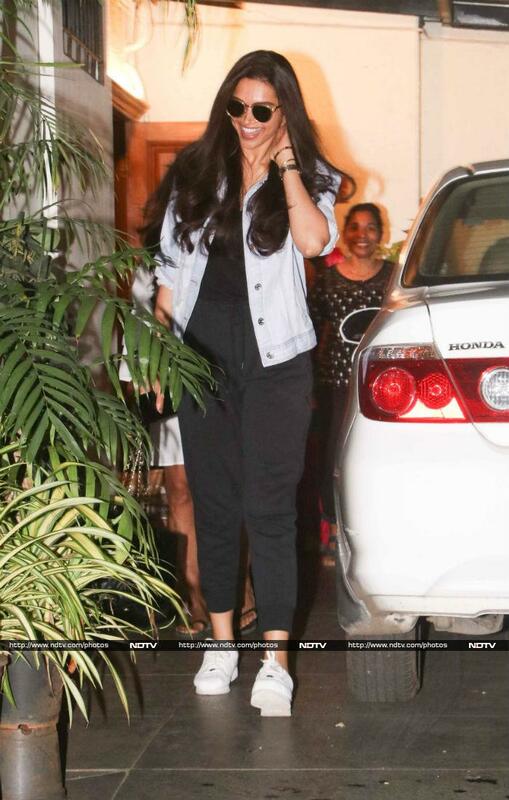 She was dressed casually in a black tee and trouser and paired her look with a denim jacket. Baby Taimur, oh-so-cute. 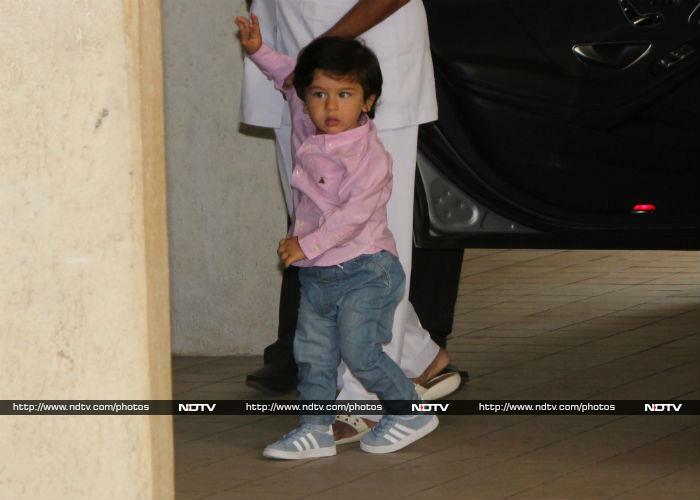 He was pictured in Bandra with his nanny. Later, Taimur's bua Soha and her daughter Inaaya also arrived at the same location. Sara Ali Khan, you look beautiful in white, always. Ananya Panday posed for the cameras in Bandra. Sonakshi Sinha kept her date with the gym. Nushrat Bharucha wore a brown jumpsuit as she headed for lunch in Bandra. Amrita Arora, husband Shakeel Ladak and kids Rayaan and Azaan were accompanied by Malaika Arora and Arbaaz Khan's son Arhaan for dinner. Tiger Shroff took part at an event in the evening. The cameras spotted Mandana Karimi at a Bandra eatery. British singer Jay Sean performed at a Mumbai club last night.